Prints of my Instagram theme photos are available for sale. I've created curated sets of 3, 6 or 9 images, available as 8x12 or 12x12 inch layouts, as well as single image prints and greeting cards. All prints are made on Epson Ultra Premium Luster Photo Paper with archival inks. If you'd like something you don't see - different themes, different arrangement or different size - contact me about creating a custom print. You can also make a one-time donation (always welcome!). Donations help me buy more supplies, pay booth fees at arts markets and upgrade my equipment. As a thank you, I'll send you a randomly selected polaroid-style print of one of my Instagram posts, printed by Origrami. Just scroll to the bottom of this page and click the Donate button to fill out the form. Thanks in advance! 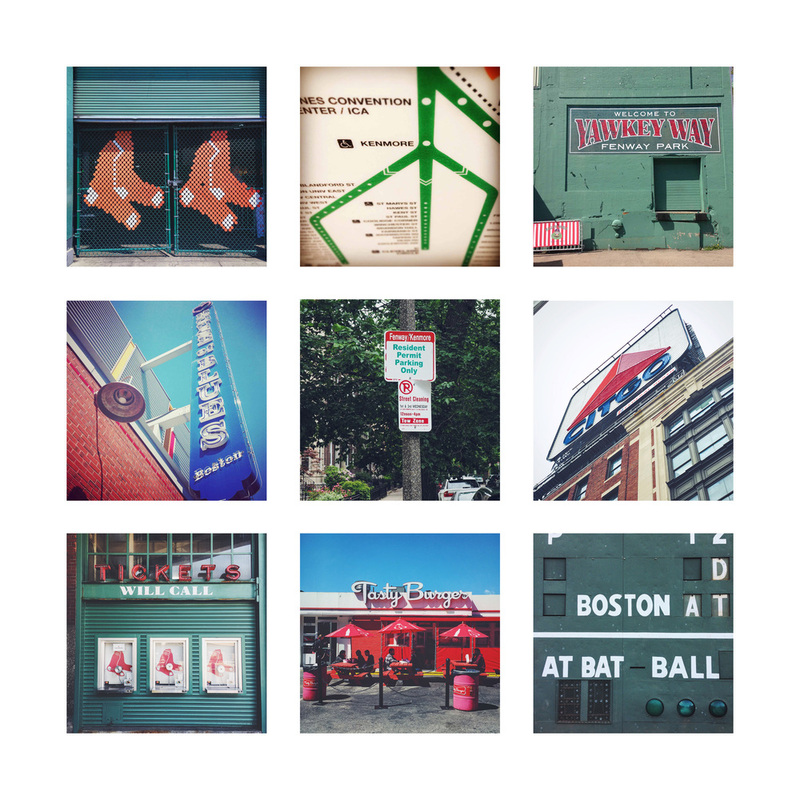 Find prints of some of my favorite neighborhoods and landmarks in Boston, as well as some features of the city mostly familiar to just locals. Available sizes are 8x12 and 12x12 inch prints. These are my favorite individual images culled from more than 30 themes as part of my 2+ year Instagram project. Singles are available as 8x8 or 12x12 inch prints, or as 5x5 inch greeting cards. Some of my most successful themes are colors, since they feature a mix of images from all over the city, all united by a single color. Available sizes are 8x12 and 12x12 inch prints. Make a donation to help me grow my business!